The Crystal Quartz meaning has changed throughout centuries, from ancient times, to modern days. One of the most common and abundant element on Earth, the quartz defies its common nature with its incredible beauty and its remarkable colors. The most diverse mineral family, Quartz crystals, come in all colors and shapes. Source of light and enlightenment in the same time, quartz crystals have offered both their beauty and their spiritual value to humans for thousands of years. Valued by spiritual leaders, alternative healers and people who try to live a life in touch with nature, crystals have been the subject of scientific research. Scientists praise them for their role in human’s development, for their remarkable properties and for all the scientific data that they haven’t revealed yet. Quartz is quite a common mineral. This chemical compound of silicon and oxygen is found in many countries in various geologic locations. The best producers of natural quartz crystals are US and Brazil. In healing therapy and as a gemstone, natural quartz is preferred but, except for that, it is rarely used as found in nature. In immemorial times, crystal were believed to be water frozen so hard it could never thaw. Nearly every civilization has a certain belief regarding the magical power of spiritual crystals. Egyptians, African tribes, Native Americans, Romans, Aztecs and Scots (among others) used Clear Quartz for various reasons such as spiritual development, diagnostic healing, meditation and as religious objects in funerary rites – to dispel evil. Nowadays, crystals are no longer used in medicine, but the number of people using them holistically, as adjuvants to the prescribed medication, has grown considerably in the last few years. Throughout the world, we can still find some tribal cultures that have continued the general use of crystal in healing practices to the present day. For example, in New Mexico, the Zuni tribe is known for creating stone fetishes, small totems to represent animal figures and spirits. These carved crystals used to serve a traditional purpose, but nowadays they are more a form of Native American art sold to collectors worldwide. In some tribes, turquoise and other precious stones are considered sacred and are kept in special locations, away from negatives energies. 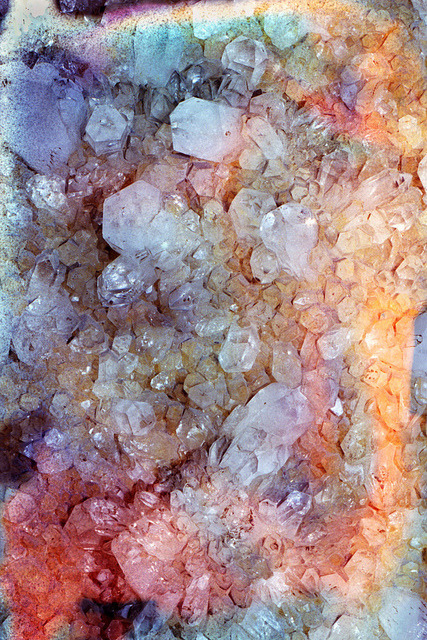 When it comes to crystals, every country has at least one meaning attached to a crystal. An interesting part in crystal’s history is the vast shared culture that appears, despite the lack of contact between tribes or countries. Aborigines and Maoris have similar traditions regarding healing stones or spiritual practice to Native Americans. Jade was seen as a kidney restorative stone by ancient Mayan, Aztec and Chinese civilizations. Turquoise is a symbol of strength and health all over the world, while jaspers are associated with strength and calm. When we get to think that even parts of their sacred culture that was kept private, within their communities, resembles we can better understand the true powers of crystals. Some may associate gems with tribes or undeveloped countries, but the truth is that stones are everywhere. Even though the gems ceased to be recommended as part of a treatment, gemstones continued to hold meaning for the XXI’s century men and women all around the globe. In some parts of Europe, jet is associated with mourning and with occult practices, while garnet is generally worn as an amulet in times of war and distress. Moonstones, on the other hand, have been seen in some English marital traditions, as a symbol of fertility and passion. Pure quartz is a colorless, transparent, and very hard crystal. This crystalline material that resembles glass is well-known for the six-sided prisms with a six-sided pyramid at the ends. Except for the pure quartz, generally, quartz appears in a wide range of colors: amethyst (violet), rose, citrine (yellow), smoky quartz (gray, brown to black), as well as combinations of different types of quartz crystals as it’s the case of multi-colored agates. Maybe the most famous occurrence of a quartz is the geode form (hollow, vaguely spheroid to oblate masses of mineral matter) that can be found all around the globe. When speaking of pure crystals, people usually refer to Rock Crystals (Clear Quartz), also known as the Perfect Jewel for its sparkling light. Made even more famous by Pink Floyd’s The Dark side of the Moon album, the pure quartz is the one used for defining the color spectrum for the first, as in its sparkling light we can notice the entire spectrum. It is generally referred as the master healer, because it has the power to absorb, store, regulate and then amplify energy. Healers use it for its capacity to neutralize background radiations, keeping its owner’s surroundings safe from petrochemical emanations or electromagnetic smog. While searching for the crystal quartz meaning, ancient civilizations have found interesting answers. As a healing crystal, the pure quartz balances the physical, mental, emotional and spiritual planes and acts as a deep soul cleanser. Known and generally used by people involved in stressing mental activity, the clear crystal acts as a psychic enhancer, letting its users to unlock their full psychical potential. Plus, it aids concentration, unlocks memory and stimulates the immune system. The Clear Quartz (Crystal Quartz, Rock Crystal) harmonizes your chakras and enhances the power of all other crystals that you may have so there is no wonder that the ancient civilizations believed that these stone were alive incarnations of the Divine. In modern days, the healers share this ancient belief that crystals are living forms of energy, incredibly old and wise. Sometimes, specialists say, crystals may be willing to communicate but only if the individual is fully prepared to receive their message. Individuals can allow the realm of the spirit world to transmit valuable information by simply wearing, carrying or meditating with a Clear Quartz crystal. The main condition which must be met is for the person to be willing to open his mind and heart in order to achieve higher guidance. Embracing the true perfect knowledge, people ascend to a higher position and are allowed to find inner peace and perfect life balance. An energy amplifier, Clear Quartz takes all energetic input and broadcasts it throughout the world and into ethereal realms. It is commonly used in prayers to accelerate the fulfillment of a request or even in medical cases as a healing adjuvant (intensifies healing and leads to a spiritual goal). Used in prayers, in healing therapies or as accessories, crystals are part of our everyday life and crystal quartz meaning has never ceased to amaze, to fascinate and to enlighten people all around the world. Hey Buddy!, I found this information for you: "Crystal Quartz Meaning & Powers Throughout History". Here is the website link: https://accessgems.com/crystal-quartz-meaning/. Thank you.